EZOutlookSync Pro 3.02 - Download Win Apps. Lightning fast, robust synchronization and backup solution for MS Outlook files. ESP is the next step in MS Outlook Synchronization. It delivers industry strength for lightning fast and robust synchronization of large Outlook files between two or more computers. Supports synchronization with MS Exchange Server. The program offers two main synchronization modes: both-way and unilateral. ESP can also perform full backup of your Outlook profiles and facilitate migration to another system. 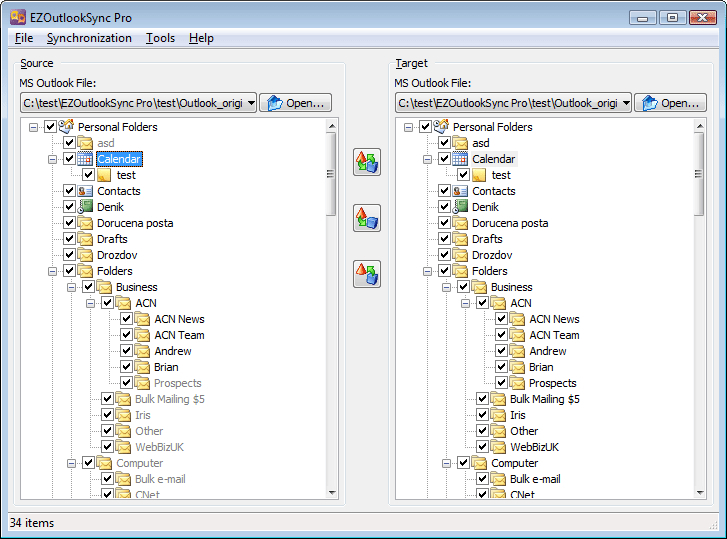 Easily sync Outlook between two computers, e. g. your desktop PC and laptop, using the new user-friendly tool, it. It is a fast, logical and nicely designed application that is available in a free, time-unlimited version.